Low Pressure is and always has been a company devoted to surf and travel. Expanding horizons and highlighting the potential of a world of waves is the whole point of our business. We have all been lucky enough to experience a huge diversity of waves, people and cultures on our own personal travels, so sharing the stoke of discovery seems to be the right thing to do. The Stormrider Surf Guides have been the end product of this devotion. They are very slow to produce…sometimes too slow, but this is simply because we do not want to put out anything that is slapped together to make a quick buck…we surf and travel and we know what we want to see in a book. So far this seems to have worked as our Stormrider books are the best-selling and most well known surf guides in the world. It’s always difficult to get the balance right with a surf guide. Often considered a taboo subject we have done everything we possibly can to give accurate and comprehensive information without taking away the thrill of discovery. In order to do this, all our information is contributed by and double checked by local riders. If you feel we’ve crossed the line please contact us and give us your constructive criticism. While presenting the surf info we try to remove opinion and personalities from the books to leave the hard and fast facts. The stars of The Stormrider Surf Guides are the waves themselves…all we do is try to present them in a clear and consistent fashion. One surfer’s 5 star wave is another surfer’s nightmare. The style is adapted to this approach – it is only a guide….you do the rest. We have always cared deeply about the state of the world we live in. If you travel, there is no escaping the fact that damage to the planet will occur, regardless of the method of transport. Surfers have long been in the front line of environmental activism and there are many dedicated people out there, fighting for our rights to enjoy the ocean. We strive to support these people in as many ways possible and this is why Low Pressure and The Stormrider Guides gives 1% of sales to surfing related environmental groups. We have also planted over a thousand trees to make up for the paper we use (which is chlorine free) and we plan to plant as many trees as we can in forthcoming years. Our new Downloadable Stormrider E-books are the best way we can reduce our environmental impact…no logging, paper mills and heavy transport…just a little electricity and the magic of the Web. 1989 May – After extensive world travels in search of waves, work on the first Stormrider Guide Europe begins. 1991 Jan – Low Pressure Publishing is formed. 1991 June – The Stormrider Guide Europe 1st edition is released and sells out almost immediately. 1991 June – The Low Pressure surf shop in Central London opens. London’s first and only surf shop quickly becomes a haven for landlocked surfers from all over the world. 1995 June – The Stormrider Guide Europe 2nd edition is released in 3 languages and full colour. Reaction is unanimous – the best guide so far for detail, design and ease of use. 1996 – Low Pressure shop gets Evening Standard award as one of the top retail outlets in London. 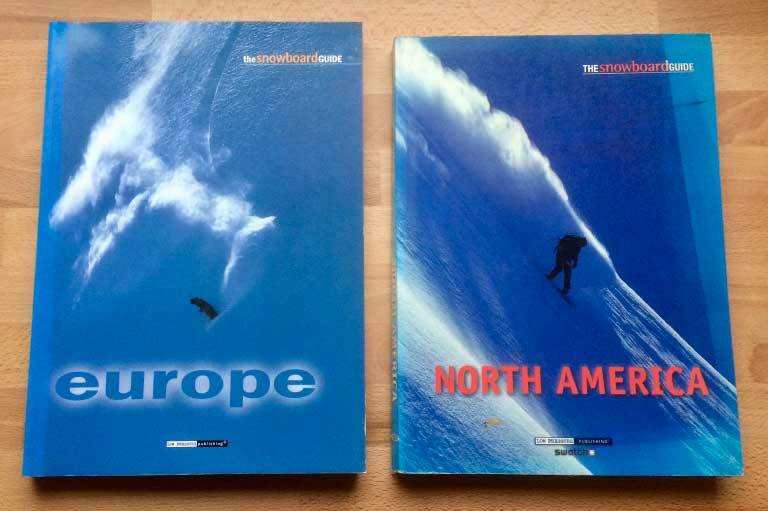 1996 Oct – The Snowboard Guide Europe 1st edition is released to more rave reviews. 1997 Oct – The Snowboard Guide North America 1st edition is released. 1997 Oct – Low Pressure Films airs a 12 part series of Snowboard Guide North America films on Eurosport and various satellite channels around the world. 1998 Oct – The Stormrider Guide Europe 3rd edition is released. A monster of a book which becomes the benchmark by which all surf guides are judged. 2001 April – The World Stormrider Guide Volume 1 – After shelving this first idea in favour of a Europe guide…10 years later it’s finally become a reality. The World Stormrider Guide Volume 1 quickly becomes the best selling surf guide in the world. 2002 Oct – The Stormrider Guide North America 1st edition is released, co-written and edited by the legendary Drew Kampion. 2003 – SAS take The Stormrider Guide Europe 3rd edition to the European Parliament to help show the politicians that the waters around Europe are used and enjoyed by people all year-round and not just a few weeks in summer. 2004 July – The World Stormrider Guide Volume 2 is released. 2005 April – Doubling of rent on the LP shop means it’s no longer possible to be a small independent shop in one of the most expensive places in the world. 14 good years and thousands of great surfers through the door…Thanks to everyone who worked, shopped or passed through. 2006 April – The Stormrider Guides are now available online in downloadable e-books. 2006 June – The first part of The Stormrider Guide Europe 4 th edition is released. 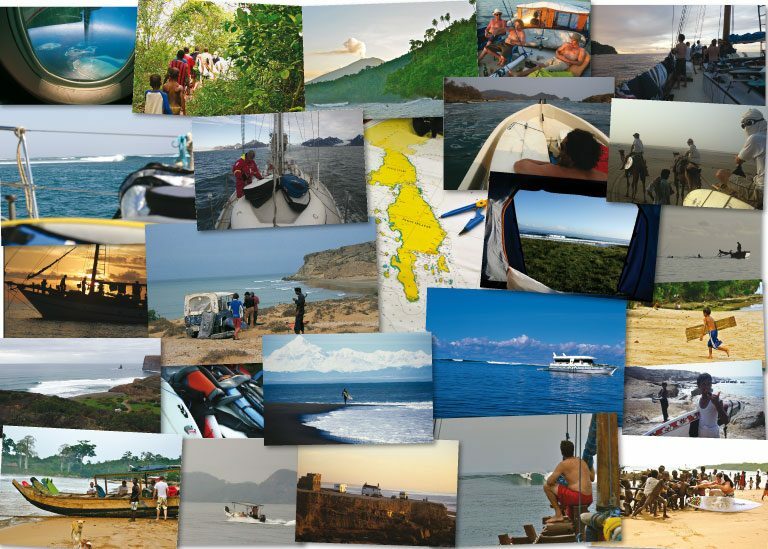 Due to the huge volume of surf, environment and cultural information, the book is split into a two book box-set – The Continent and Atlantic Islands. 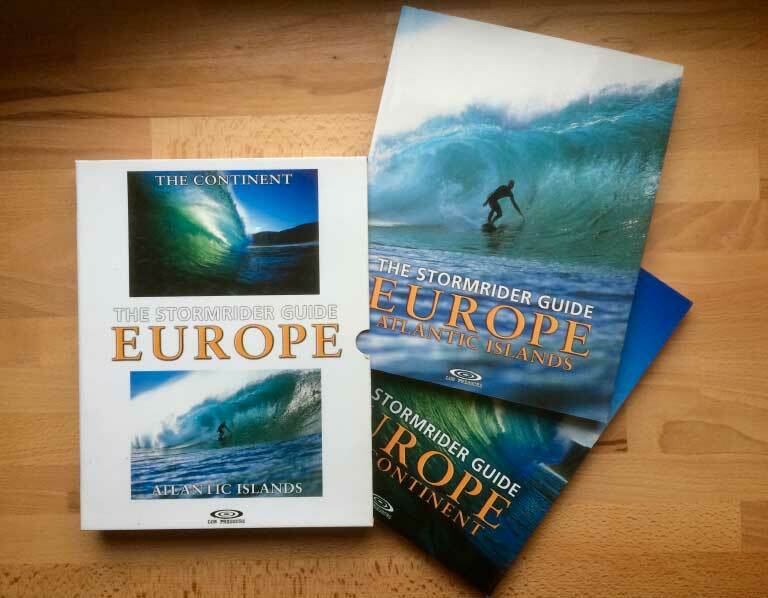 Autumn 2008 – The Stormrider Surf Guide Europe -The beast is back…both the Atlantic Islands and the Continent books bound together. The Snowboard Guides published in 1996 and 1997 eventually parted company with Low Pressure and had a life of their own.